When Lieutenant Lawrence Miller first sees USS Bacalao in the builder's yard in late 1940, the submarine is little more than a pile of curved steel plates. During the next few months, Miller watches the boat take shape and the crew gather from throughout the fleet. By late 1941, Bacalao is in commission and assigned to the Pacific Fleet at Pearl Harbor. Then, on a Sunday morning, everything changes, as the Japanese sneak attack plunges the United States into World War II. The new submarine and her untried crew are immediately thrown into action against the Japanese. Miller is there through it all, from the disastrous first patrol, when the boat is nearly lost and a pair of surprising heroes emerge, to the deployment to Australia, where a chance encounter while ashore will change his life forever. 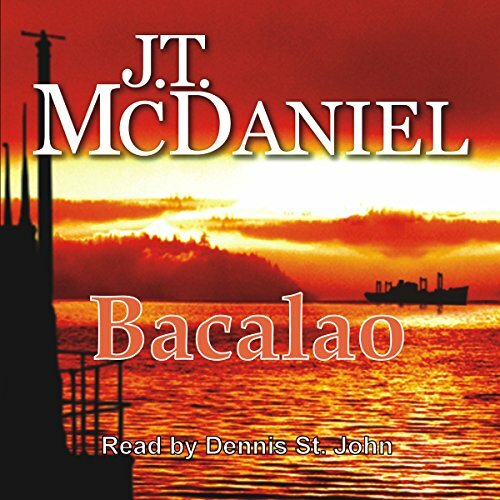 Then, after spending a year in command of an antiquated S-boat in the frozen hell of the Aleutians, Miller returns to Bacalao as her last wartime commander. Written in a simple, straightforward style, Bacalao is destined to become an instant classic of submarine fiction.